Mayor Eric Garcetti, who is in Philadelphia for the Democratic National Convention, said Tuesday he feels more Latinos need to be appointed to top-level positions in the next presidential administration, and not just to positions focusing on immigration and labor. 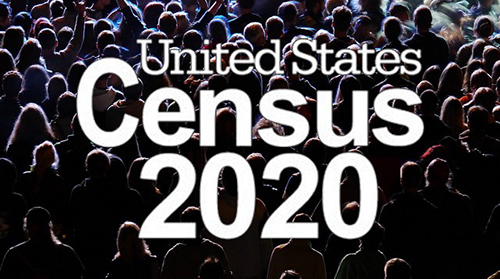 During a panel discussion and briefing on Latino political participation, Garcetti noted that recognizing the power of the Latino vote is not enough, and more Latinos need to be placed in positions of power in the federal government. With appointments made under the recent two Democratic presidential administrations, “there’s like this ceiling,” he said. Garcetti added that those who have the power to make the appointments often complain there are not enough qualified Latinos for the positions, but he feels they are not searching hard enough. Garcetti added he is concerned that, especially with Republican presidential nominee Donald J. Trump’s stance on illegal immigration, Latino leaders will again be relegated to dealing with issues like immigration or equal employment, and not be considered for positions in other areas. “We’re put back into a box,” he said. “If you’re silent that’s unacceptable, we let that happen, but if you speak out, we’re speaking out to, again, just be defending ourselves on issues of immigration. California Secretary of State Alex Padilla, a former Los Angeles City Councilman, was also part of the panel with Garcetti. He painted a more optimistic picture, saying that Trump could galvanize Latino voters in the same way as California’s Proposition 187 in 1994 — which sought to restrict access to public services for immigrants who entered the country illegally — by drawing more Latinos into the political arena at a national level. Garcetti, noting that he is slated to speak at the Democratic National Convention on Thursday, said he wants to use his speech to steer the election from just responding to Trump, and from treating the convention merely as an audition for the 2020 election. Garcetti’s campaign adviser Bill Carrick said the mayor’s convention speaking time has not been confirmed. Garcetti on Monday also took part in a news conference with labor groups to promote raising the minimum wage. In addition to the NALEO panel, Garcetti also joined a luncheon of the U.S. Conference of Mayors. On Thursday, he is scheduled to attend the breakfast hosted by the California delegation and a panel by the Brady Campaign on the use of guns in hate crimes. A tree was planted Wednesday on the grounds of the U.S. Capitol in memory of Rep. Edward R. Roybal, who spent three decades in Congress representing a Los Angeles-area district. The father of Rep. Lucille Roybal-Allard, D-Los Angeles, was also a member of the Los Angeles City Council for more than a dozen years. Elected in 1949, he was the first Hispanic to serve on the council in more than a century. He died in October 2005 at the age of 89. A red oak was planted in his honor on the Capitol’s south side. 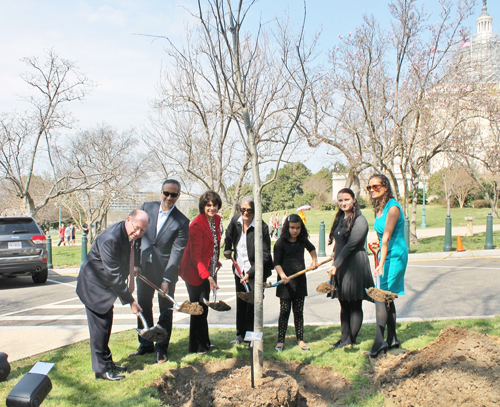 “In celebration of the centennial of my father’s birth, I can think of no greater tribute than the planting of this red oak tree on the U.S. Capitol grounds,” Roybal-Allard said. “If my father were alive today, of all the tributes he has received, this tree would be among his most cherished, because it is being planted between the House of Representatives, which my father truly believed is the people’s house, and the Rayburn Building, where he spent much of his 30 years in Congress doing the people’s work. “This tree will be a living testimony to my father’s work to ignite beacons of hope and opportunity for all Americans,” she said. Roybal was one of the era’s leading congressional voices on health care, education, housing and jobs policy. He also co-founded the Congressional Hispanic Caucus and the Congressional Hispanic Caucus Institute, and founded the National Association of Latino Elected and Appointed Officials. The tree-planting marked the centennial of Roybal’s birth, which coincides with the 40th anniversary of the CHC.